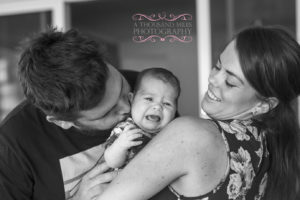 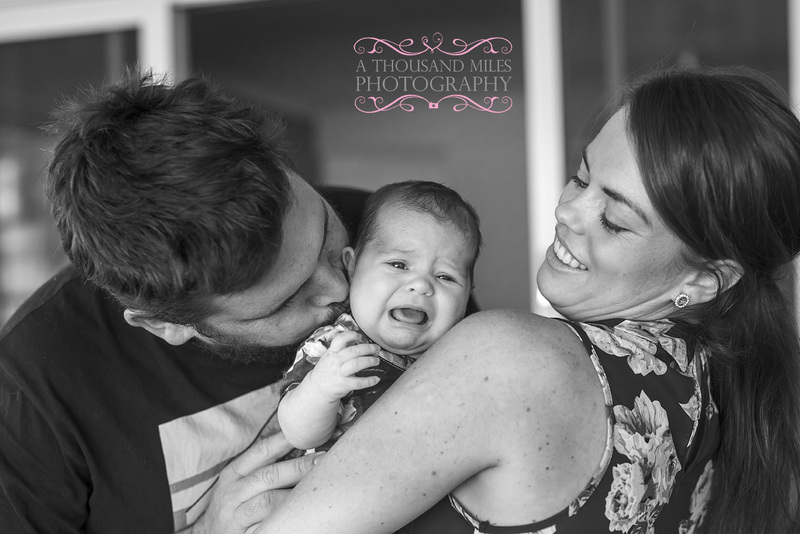 We all love baby photographs! 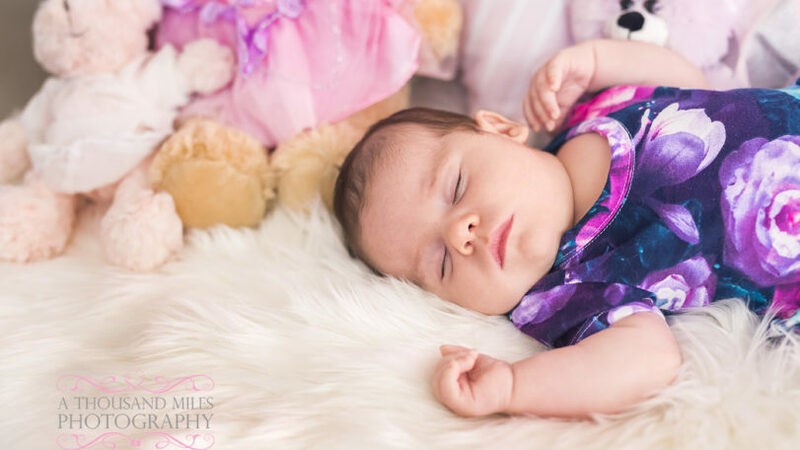 Newborns are so photogenic, so cute and so cuddly and it is every Mum and Dad’s wish to capture some amazing baby photographs of their beautiful newborn before they get too big! 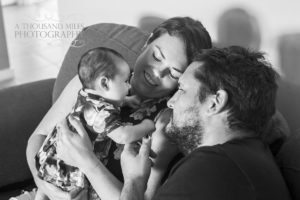 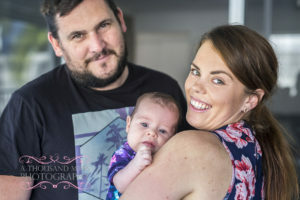 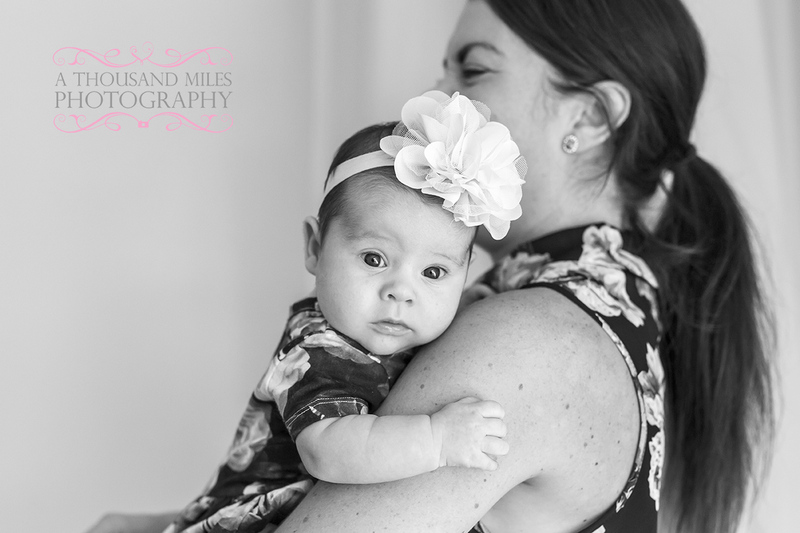 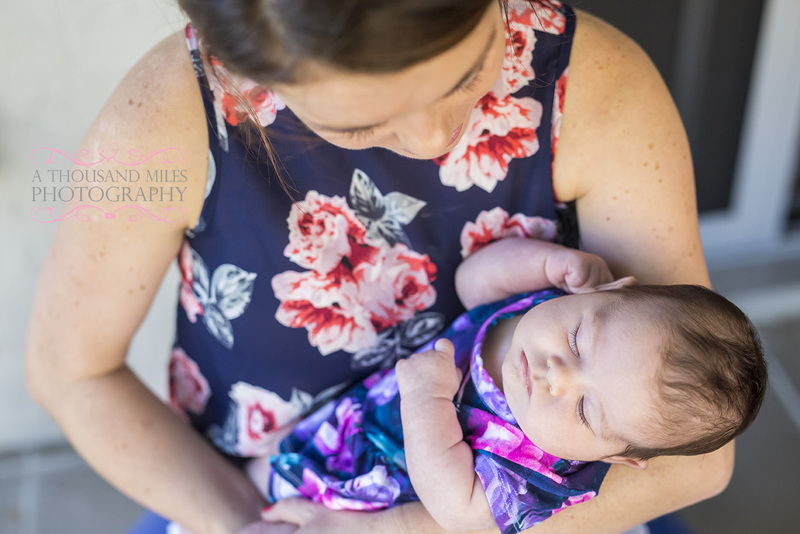 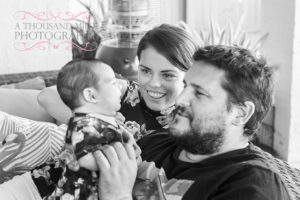 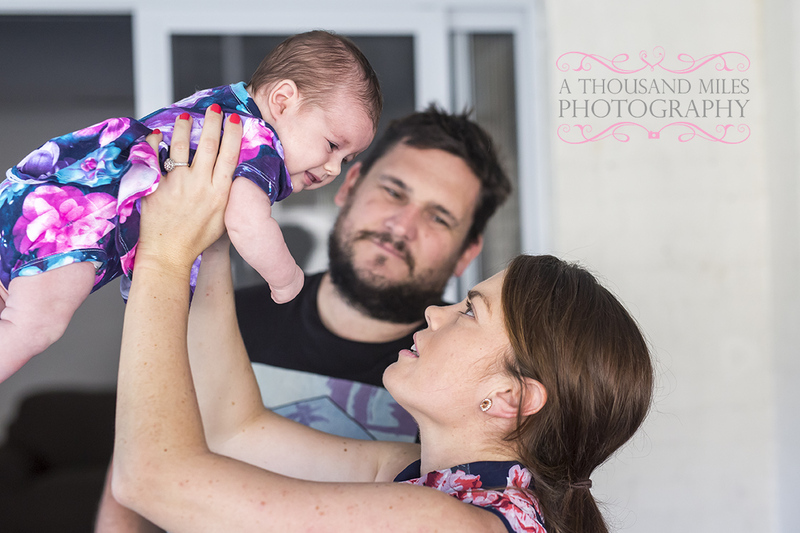 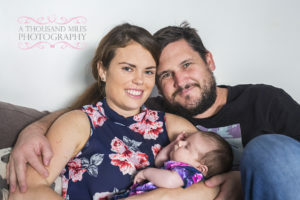 Happily A Thousand Miles Photography specialise in baby photographs and newborn photography and can capture your beautiful new arrival in the comfort of your own home! 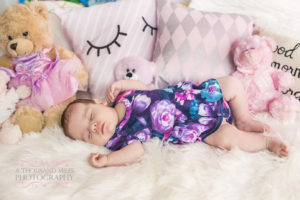 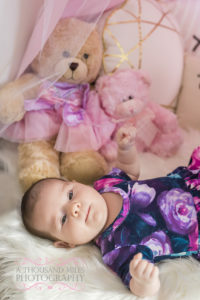 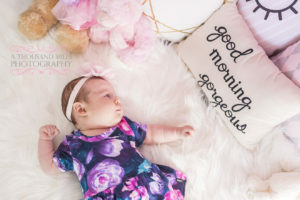 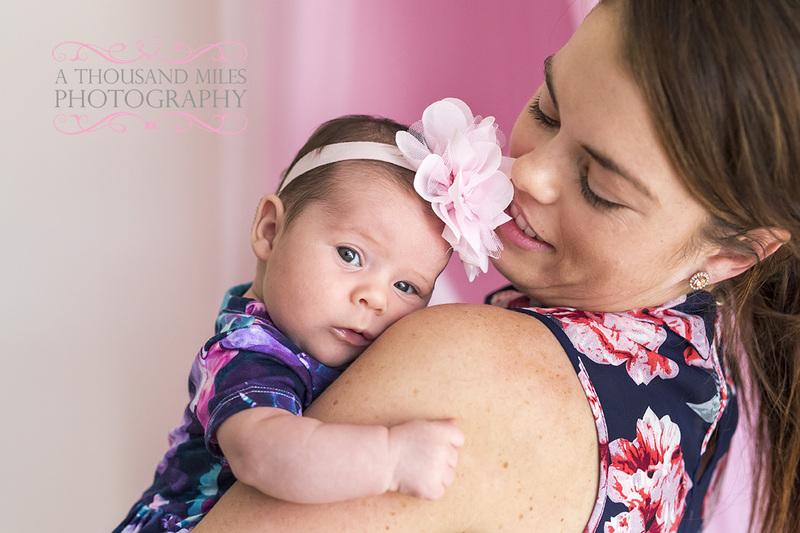 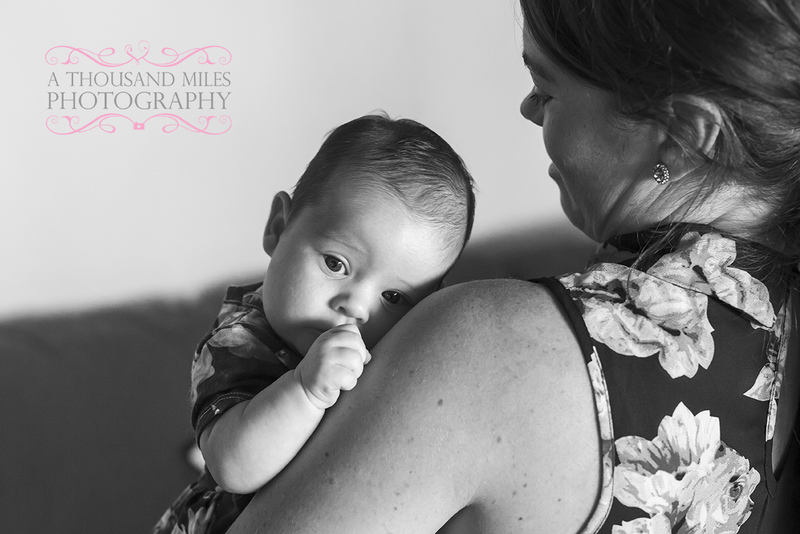 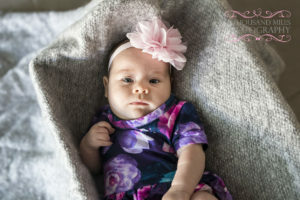 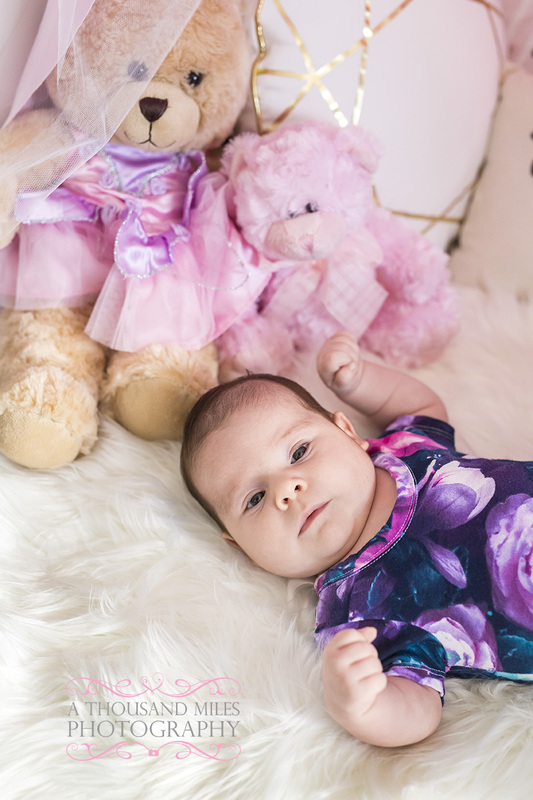 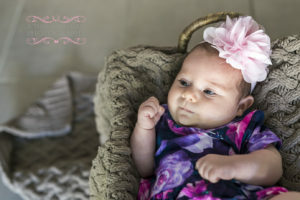 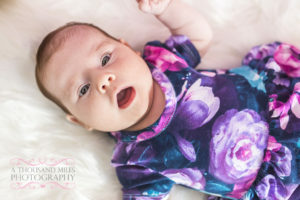 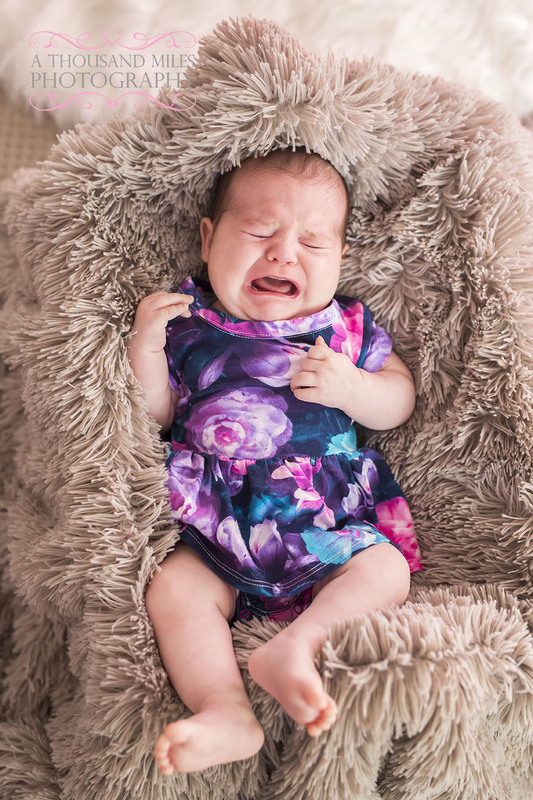 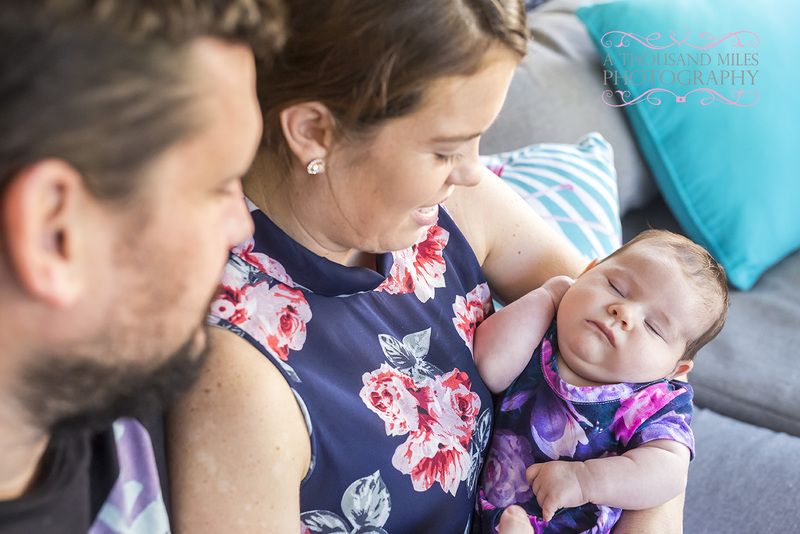 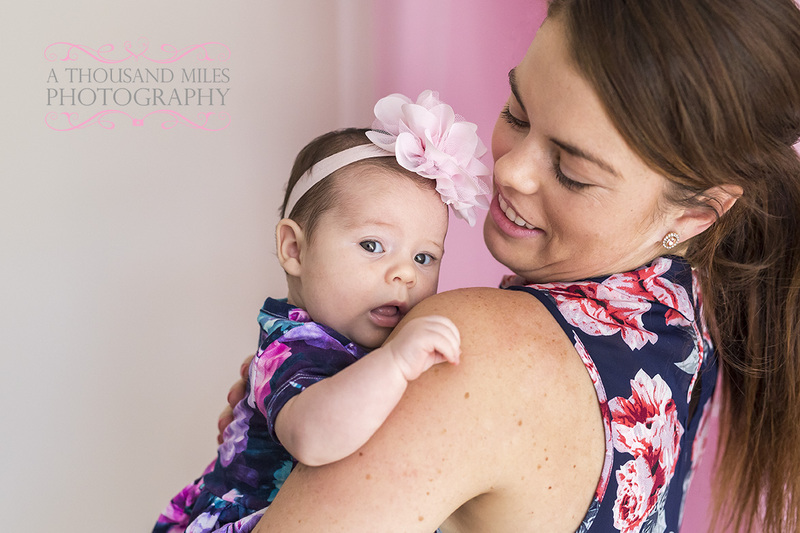 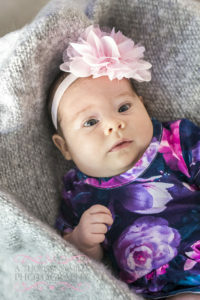 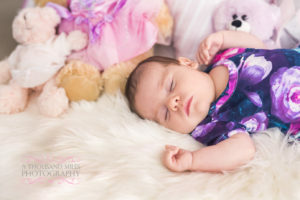 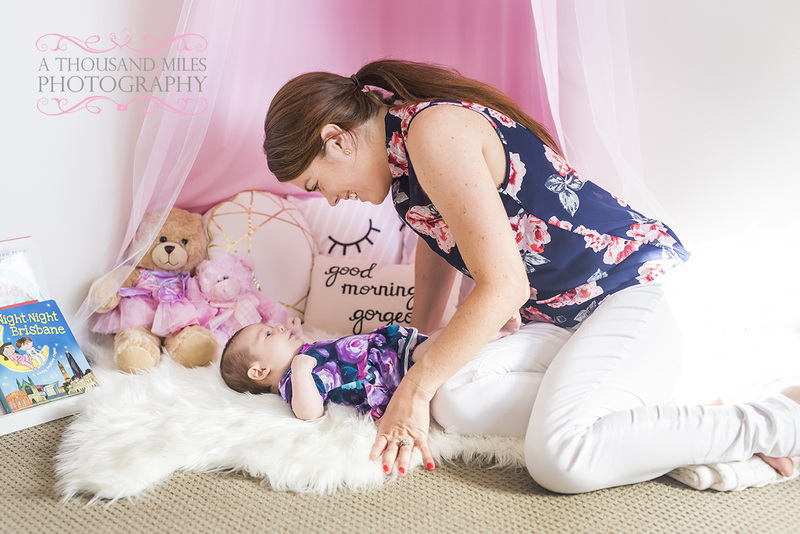 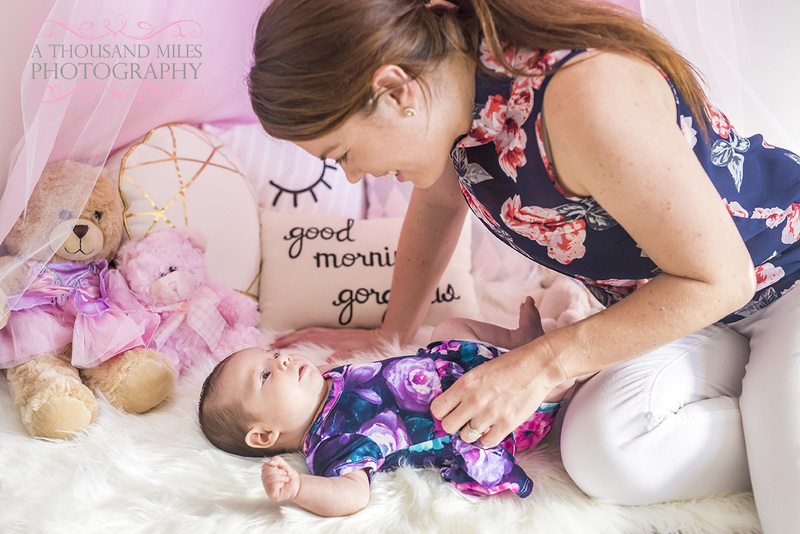 We have several newborn photography package options, including the option of visiting our studio in Alexandra Hills, and for us to do the photo shoot in the comfort of your own home! We have a fantastic array of blankets, wraps and baskets to make the shoot run smoothly and we do recommend bringing along any toys and props that you would like to have in the photographs. 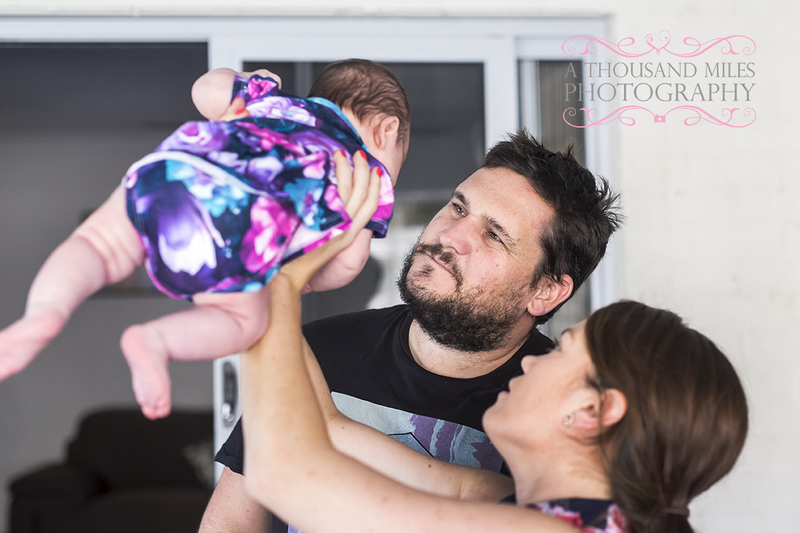 I knew Kelly and Rob from a couples photo shoot we had done earlier in the year so I leapt at the chance to capture Amelia, their beautiful new arrival! 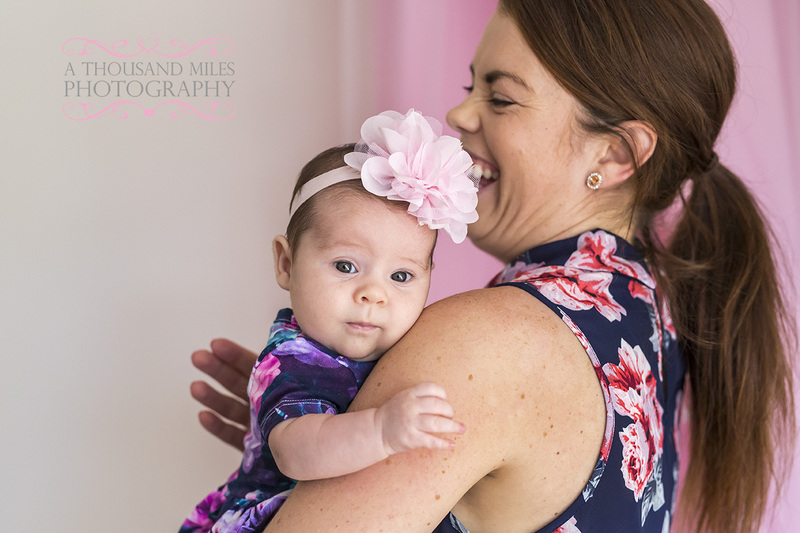 We did the photos at their place in Birkdale and were rewarded with great light and a well behaved Little Miss! 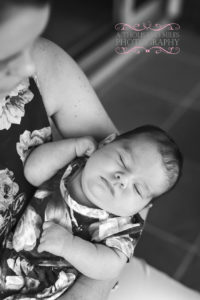 We managed to get some sleeping shots, some waking photos, some photos with Mum and Dad and some baby photos of Amelia in her own room. 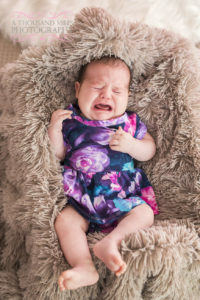 The great thing about doing a newborn photo shoot with us is that you get the high resolution images on a disc, so there’s no need to dig out crumpled, old photos on their 21st birthday!